We understand that nothing is more important than the safety of the people in your buildings and that is why we are solely devoted to fire and life safety. It’s all we do. The FLSA Government Services program is designed to meet your expectations for quality, consistency and responsiveness to all of your facilities across the U.S.
Today, Fire & Life Safety America is one of North America’s largest single source providers of fire protection and life safety systems. We have designed our Government Services program around the needs of our Federal clients in order for them to manage their facilities with greater efficiency. 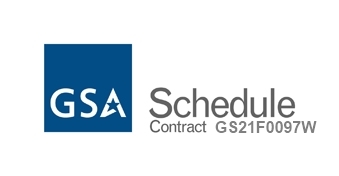 FLSA has a service contract under the GSAFacilities Maintenance Multiple Award Schedule for the inspection, testing and service of fire protection systems. Our Government Services Program is managed from our Washington, DC office, where we are able to coordinate the delivery of services to our government customers from any of our offices across the country. Our Government customers are assigned to a dedicated Government Accounts Manager. The sole responsibility of the Account Manager is to communicate with our Government customers to ensure their contracting needs are met and their facilities meet the required fire and life safety codes. This relationship provides our Government Account customers a “dedicated point of contact.” All service calls are dispatched centrally to the appropriate FLSA office. The status of the work is then monitored and the customer is kept informed of any issues or deficiencies. We have obtained the highest certifications in the industry. We are ISO9001:2008 and UL certified to insure that all of your facilities receive the highest level of service in the industry. FLSA adopted ISO in order to bring a consistent, quality process to the sale, design, fabrication and installation of fire sprinkler, fire alarm and special hazard fire protection systems. FLSA became whole-company certified in 2000, and is currently the only fire protection company so certified. Our LifeGuard™ Inspection Service provides several advantages for our Government customers. All of our technicians use handheld devices to insure that 100% of inspections are completed and reported accurately. Our unique life safety management system provides complete on-line documentation that is accessible 24 hours per day. The reports include accurate inventory count of life safety devices, time and date stamp, warranty tracking and recall notices. The information on LifeGuard™ can now be used as a forecasting tool identifying future maintenance expenses that otherwise would have gone unplanned. In addition to being NICET certified, our technicians complete an extensive, in-house two year training program that is considered to be the best in the industry. For more information, please contact us to discuss your specific requirements. Contact us by either e-mailing us or calling James Conniff, Director Federal Government Sales, at (410) 787-3697.